Down & Out Books, 9781946502551, 288pp. Francis Hoyt, arrogant, athletic, brilliant, manipulative and ruthless, is a master burglar. He specializes in stealing high-end silver, breaking into homes that seem impenetrable. He's never been caught in the act, although he has spent some time in prison on a related charge, time he used to hone his craft and make valuable connections. Recently retired from his job with Connecticut's attorney general department, Charlie Floyd is a brilliant but stubborn and experienced investigator. He receives a phone call from Manny Perez, a Cuban-American Miami police detective. Perez, who's worked with Floyd previously, wants to enlist the former investigator in his efforts to put an end to Francis Hoyt's criminal career. Floyd accepts the offer and they team up to bring Hoyt to justice. 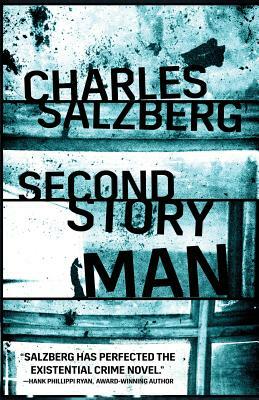 Second Story Man, told in alternating chapters, representing Hoyt's, Floyd's and Perez's points-of-view, develops into a cat-and-mouse contest between the two lawmen and this master burglar. As Floyd and Perez get closer to their prey, Hoyt finds out they're after him and rather than backing down, he taunts them, daring them to bring him in. The stakes get higher and higher, and Hoyt, who is always concerned about proving he's the best at what he does, even resorts to murder. The story climaxes in a confrontation between the three men.